Brenda Stephenson and Tammy Marcoe started to plan the first Superhero 5K in 2013 after the son of Tammy’s co-worker was diagnosed with an inoperable brain tumor. The race was an effort to raise funds for Carter Nuckols, son of Russellville Police Officer Michael Nuckols. Carter’s campaign was “Hero’s for Carter” and heroes are exactly what we got- superheroes! The River Valley community came together and made the race a success with nearly 500 participants, making the Superhero 5K Rusellville’s biggest race ever! 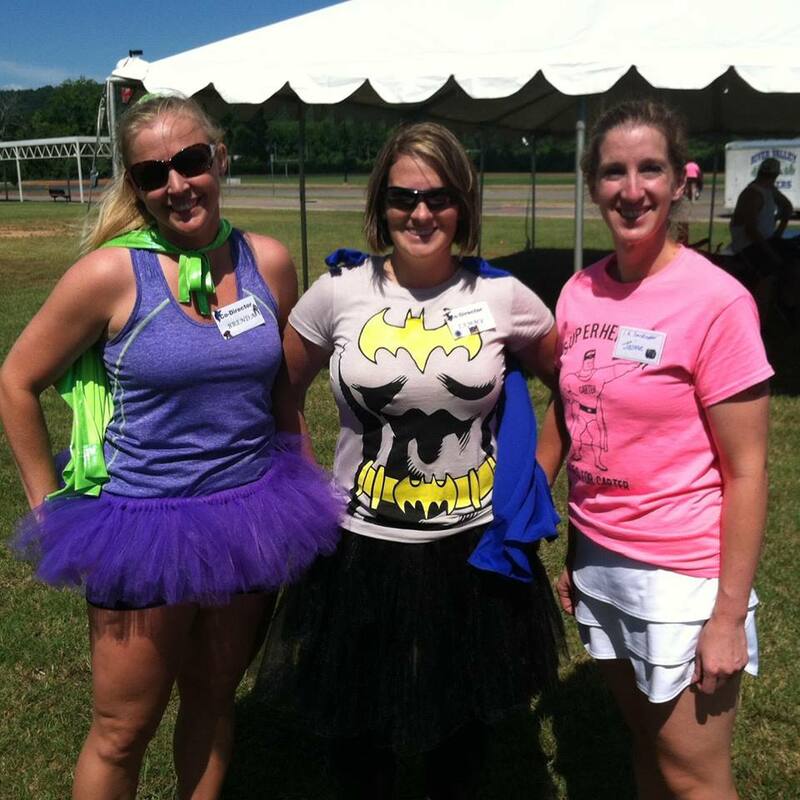 Brenda and Tammy enlisted the help of Jaime Keys to organize a kids’ fun run that was unforgettable! An astounding amount of volunteers made the event possible. We were able to donate over $8200 to the Nuckols family to help with their medical and travel expenses. Due to the overwhelming community support, Brenda, Tammy, and Jaime decided to make the race an annual event, honoring a different child in the community each year. Our goal is to raise awareness of child cancer and to continue bringing the community together!